They don’t show up in x-rays, but your baby does have kneecaps! They are cartilage and will remain so for the first few years of live. 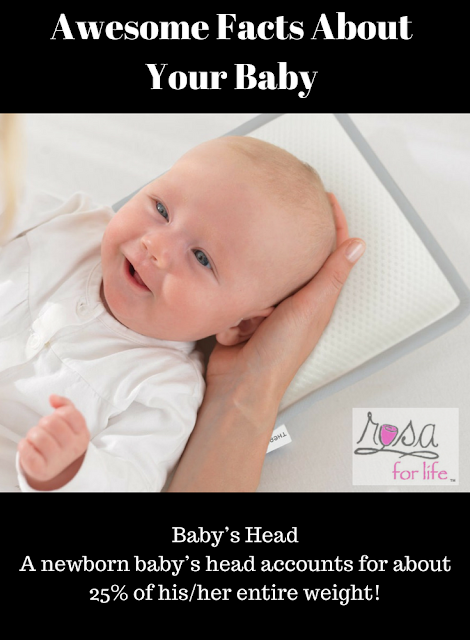 A newborn baby’s head accounts for about 25% of his/her entire weight! Newborns are only able to focus 8 to 10 inches from their face. They also prefer blank and white, high-contrast images to colored, graphic ones. Baby boys are usually heavier than baby girls. The average weight of a newborn boy is 7 lbs. 10 oz. while that of a newborn girl is 7 lbs. 2 oz. 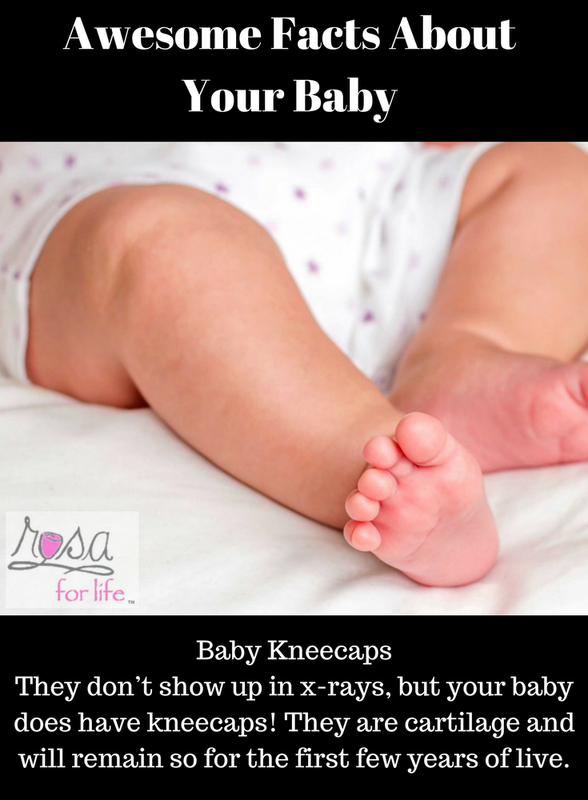 When babies are born, they have 300 bones. Their bones fuse as they grow and, eventually, the will have 206 bones (the number adults have). A baby has around 10,000 taste buds, which is WAY more than adults! They are not just on the tongue but also on the sides, back, and roof of the mouth. Eventually these extra taste-buds disappear. A newborn typically sleeps up to 16 or 17 hours a day, but as you may have noticed, they don’t sleep for long. Usually 2 to 4 hours per sleep for the first few weeks of life. After your baby is born the human brain grows rapidly, more than doubling to reach 60 percent of its adult size by baby’s first birthday. It is estimated that if a baby continued to grow at the rate he/she did, by the time he/she reached adulthood, he/she would be as tall as the Nelson’s Column in London. 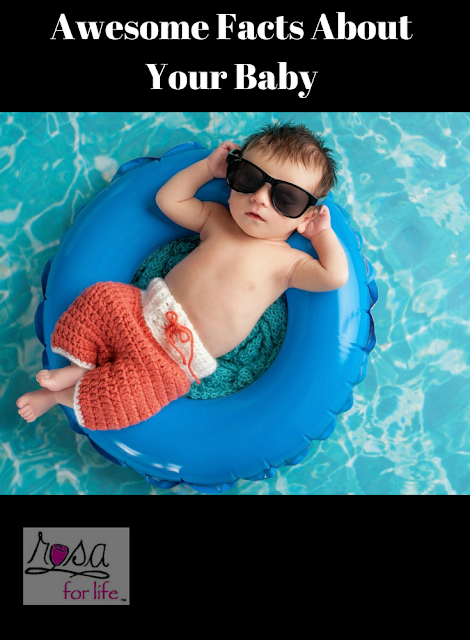 Babies have short attention spans and can easily be over-stimulated. A newborn baby’s heart beats 130 to 160 times per minute, about twice the heart rate of a normal adult. 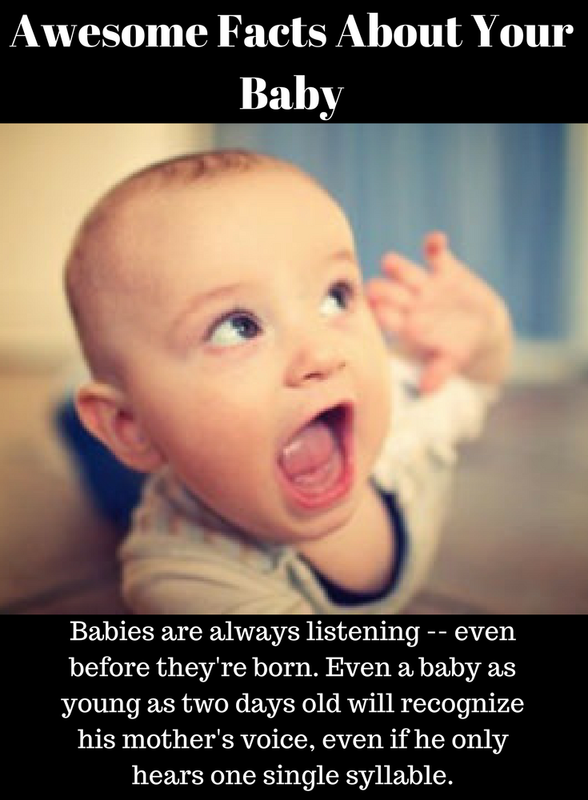 Your baby is born with very sophisticated hearing and can work out where a sound is coming from just 10 minutes after being born.